We guarantee your complete satisfaction. If for any reason you are not satisfied with your purchase we will do our very best to address your concern or remedy the problem. You may return merchandise in its original packaging and condition but only within 30 days of delivery. To return an item you must first call or e-mail us to obtain a return authorization number. Returned items may be exchanged for another item or at your request a refund to your credit card will be issued. 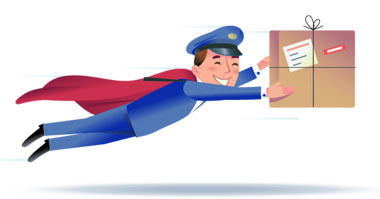 For 2014 a minimum standard shipping and handling fee of $6.00 applies to all orders under $10.00 that can be sent out by flat rate priority mail. For orders over $10.00 we charge an additional 5% computed on the additional dollar amount of the order. An additional charge will apply only if your order does not fit in a Priority Flat Rate box. Orders over $200.00 are shipped free within the United States. Orders are shipped via Flat Rate Priority Mail unless you instruct us otherwise. Orders are mailed out Monday-Wednesday to avoid sitting in the post office over the weekend. If you request a different time or method of delivery let us know. We will separately charge the difference between our standard charge for shipping and handling and our actual cost to ship the order to you. If you are ordering an item as a gift to someone else please advise us of that fact in the ordering instructions area of the shopping cart. International Orders will require a charge in addition to our standard fee for shipping within the United States.